First reference in primary-source material to smallpox “inoculation” (i.e. variolation) in Nova Scotia, although the practice was generally discouraged by the colonial government because of worries that it would spread smallpox. The Nova Scotia House of Assembly introduces “An Act to prevent the spreading of contagious distempers” and is primarily aimed at preventing the spread of disease from ships. A smallpox epidemic in Halifax leads to a mass vaccination program of over 1750 residents. Legislation mandates that Halifax and every incorporated town must have a Board of Health and that municipalities must pay for the expenses that the Board incurs in preventing infectious/contagious diseases. Provincial Board of Health is replaced by Department of Public health, and the title of Chief Health Officer is changed to Provincial Health Officer. Acts related to Public Health are consolidated and revised. Legislation names many contagious diseases of concern to the province, including measles, mumps and rubella. Legislation is introduced to allow for the appointment of public health nurses. Conscientious objector certificates are made valid for one year only, meaning that parents will have to reapply for the certificate every year in order for their children to legally attend school. The Department of Public Health is appointed a minister in addition to a Chief Health Officer. Severe diphtheria outbreak in the Halifax area. First large-scale clinics held for pertussis immunization using “Sauers” vaccine. First use of combined pertussis/diphtheria vaccine. Measles epidemics take place at various places throughout province. Polio outbreak in Halifax region. An American tourist dies of a suspected case of smallpox after travelling to NS via other parts of Canada. Polio outbreak in province, resulting in 23 deaths. The Victoria General hospital in Halifax opens a new polio clinic, with branch clinics in Antigonish and Sydney. National field trials of the Salk vaccine begin, and Nova Scotia begins to vaccinate school-age children. The Department falls short of its plans to vaccinate 200,000 children with the Salk Vaccine due to a shortage; however, they do manage to vaccinate 100,000. No cases of poliomyelitis reported in the province, reflecting the success of the vaccination campaign. Legislation introduces “Health Units” in the province and assigns the local Medical health Officer to be the director of each Unit. Alderman L.E. Moir of the Halifax City Council requests that the Director of Health and Welfare prepare a written report on the feasibility of providing a mass measles vaccine campaign for the city. The live measles vaccine is introduced into the public health immunization program, but is only available for free at Department of Public Health immunization clinics. Those that go to their family doctor must pay for the vaccination. Nova Scotia legislature passes the Medical Act of Nova Scotia. Measles and Rubella are made “reportable diseases” in Nova Scotia (i.e. health care professionals and teachers are obliged by law to report these diseases to the Department if encountered). The MSNS recommends to the DPH that doctors be provided with the live measles antigen free of charge; the DPH, however, does not do so due to high cost of vaccine [PANS, Acc. 2013-017, File 1495]. The Atlantic Health Unit (Halifax area) changes from a school-based immunization program to a “community-based” immunization program [PANS, RG 25, Vol. 674, File 10]. Private physicians receive free killed vaccines for use in their offices that are part of the province’s immunization program from the DPH. In a letter to the DPH, the Dartmouth branch of the MSNS calls on the Department to immediately introduce a rubella vaccination program in order to prevent an “imminent” epidemic of rubella. Rubella vaccination is introduced in Public Health clinics (evidence that DPH uses Meruvax for rubella vaccination in 1970s) [PANS, RG 25, Vol. 674, File 15]. Public Health nurses are authorized by the DPH to give immunizations in order to cut down on waiting times in clinics and to reach those in homes that are unable to attend clinics [PANS, Acc. 2013-017, File 1324]. The Child Health Committee of the MSNS recommends that the attenuated live mumps vaccine be given to “pre-adolescents and older males who have no previous history of mumps infection and for children in closed population groups (i.e…. The MMR Vaccine by Merck, Sharpe and Dohme is made available for use in public health clinics. It is introduced for children up to 5 years of age. The Rubella vaccination program is initiated in order to vaccinate all eleven-year old girls, although policy regarding whether or not the vaccine should be given to menstruating girls is not yet clear. Vaccinations for smallpox are discontinued in Nova Scotia. The Department of Public Health becomes the Department of Health. It undergoes a major reorganization. The MSNS makes a formal request to the Minister of Health for the Department to provide free live vaccines to private physicians. Serological testing in Bedford in order to test effectiveness of “quad” vaccine (DPTP) finds that many children have “inadequate immunity” to polio [PANS, RG 25, Vol. 674, File 14]. Rubeola (red measles) epidemic breaks out in British Columbia (1 801 cases are notified) [242-F-2-F6 012], as well as in other Canadian provinces and parts of the U.S.
Target for “Immunization Month” is to increase vaccination for rubella. November “Immunization Month” focuses on measles [PANS, RG 25, Vol. 674, File 7]. Province faces measles mumps rubella (MMR) vaccine supply shortages [242-F-2-F6 012] amidst measles outbreaks throughout B.C. The Department of Health introduces the DPTP vaccine for children. Target for November “Immunization Month” is the identification of and immunization for measles. The Department of Health introduced an MMR booster for people immunized prior to Jan. 1, 1975. The Department of Health is renamed the Department of Health and Fitness after it takes responsibility for that portfolio from the former Department of Culture, Recreation and Fitness. Rubella booster for 11-year old girls is eliminated from the immunization schedule. The first Canadian Immunization Conference is held in Quebec City. The title is “Immunization in the 90s: Challenges & Solutions”. The second Canadian Immunization Conference is held in Toronto. The title is “Immunizing for Health – Achieving Our National Goals”. The third Canadian Immunization Conference is held in Calgary. The title is “Partnerships for Health Through Immunization”. The fourth Canadian Immunization Conference is held in Halifax. The title is “Immunization in the 21st Century: Progress Through Education”. The fifth Canadian Immunization Conference is held in Victoria. The title is “Canada’s National Immunization Strategy: From Vision to Action”. The sixth Canadian Immunization Conference is held in Montreal.  The title is “Immunization in Canada: Science – Programmes – Collaboration”. The seventh Canadian Immunization Conference is held in Winnipeg. The title is “Celebrating Immunization in Canada: Achievements and Opportunities”. The eighth Canadian Immunization Conference is held in Toronto. The title is “Partnership, Innovation and Education”. The ninth Canadian Immunization Conference is held in Quebec City. The title is “Immunization: A Global Challenge for the 21st Century”. 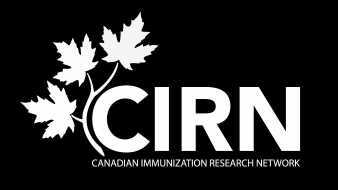 The tenth Canadian Immunization Conference is held in Vancouver. The title is “Excellence in Immunization: Empowering, Engaging and Educating”. The eleventh Canadian Immunization Conference is held in Ottawa. The title is “CIC 2014”.